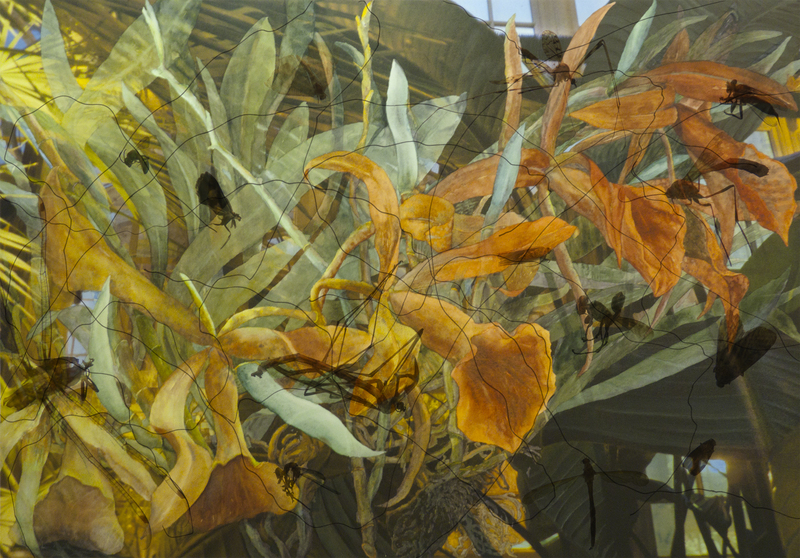 Night Wings, 2013, Watercolor, archival ink jet print on paper & Plexiglas, 34" x 47” Many plants are night bloomers and release scents only at dark. Therefore, species of insects adapt their habits to become nocturnal feeders and pollinators. Scented night blossoms are painted in watercolor and surrounded by a print of a night photo. Night pollinating insects and their fight lines are photos printed onto the inside of the Plexiglas.